​The Arizona Community Foundation of Cochise makes grants to community nonprofits, schools, and other organizations to help continue their important work. ACF of Cochise manages many carefully invested funds so that those funds will grow from generation to generation, providing more dollars for future community support. Every day there are hundreds of good people at work in the Cochise community making a difference in people's lives. With volunteers and staff, these nonprofits provide help for the hungry, the elderly, families, Veterans, and people in need of assistance. Below, we highlight some of the community projects. After reviewing literacy scores for third grade students throughout the region, the Cochise Education Initiative committee reached out to administrators at Naco Elementary School, the region’s lowest scoring district. Discussions focused on the school district’s interest in a multi-year project, an assessment of needs, and ideas for bringing student scores up and keeping them up over time. The school’s administrators had previewed software approved by the Arizona Department of Education, Fast ForWord with Reading Assistant. The reading intervention program created from studies by MIT, Rutgers, Stanford, and Harvard uses principles of neuroplasticity—the ability of the brain to rewire and improve—to treat the underlying cause of language and reading. Studies have shown that the program can deliver up to two years of reading and language skills development in a three-month period. Melissa Silva was responsible for developing The Connections Project to help build family support for elementary students. In concert with the Fast ForWord program, the committee and school leaders agreed that a holistic approach was necessary for the region along the US-Mexico border known as the Frontera, with its unique blend of cultural characteristics. School leaders hoped to help parents advance their own language and reading skills, learn how to assist with homework, develop skills and habits of teaching at home, and become more involved with their children’s school lives. 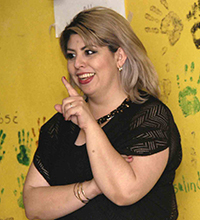 To meet these needs, Melissa Silva, Student Services Coordinator for University of Arizona South–Douglas, developed The Connections Project, a custom curriculum of six parenting and homework skills workshops to get parent and family buy-in and build long-term relationships. Following the program’s first year, data show that students are advancing their literacy skills multiple grade levels and parents and teachers are interacting more than ever before. In 2015, Pollinator Corridors Southwest was formed with a mission of supporting native plant habitats and pollinators. The nonprofit organization has three directors and numerous volunteers who assist on projects. The group also partners with other community groups to develop plant habitats. One such partner is the Sierra Vista Community Gardens, which provides developed garden plots for residents who lack space at home or time to water. Members learn from one another, improve their gardening skills, and develop an appreciation for the food they eat. Bees are the best pollinators because they have hairs on their legs that enable them to collect pollen and transport it from one flower to another and back to their hive. The plots at the Community Garden benefit because once the bees, moths, and butterflies arrive in the pollinator garden, they then continue to pollinate the other garden plots, resulting in higher yields of edible plants. Bed construction began in late 2016 and volunteers planted herbs and native plants in spring 2017. Dill, rosemary, fennel, Arizona Milkweed, Autumn Sage, Wild Zinnia and Chocolate Flower can all be found in the pollinator garden. After construction and planting were complete, all that was left was to watch the garden grow–and grow it has. The pollinator garden now attracts butterflies, bees, bats, moths and other pollinators. The plants are all organic, and thrive in natural soil without the use of fertilizers or pesticides. The Community Garden provides the water for a drip irrigation system, timed to ensure proper watering through all seasons. This system, timer, seeds, and soil were all provided by grants from ACF of Cochise. Pollinator Corridors partnered with Lowe’s Home Improvement for donated concrete blocks and paint to construct the bed itself. Gardeners and visitors alike now enjoy watching Anna’s Hummingbirds, Painted Lady Butterflies, and native bees flourish. The Community Garden provides education to school groups and incorporates the pollinator garden into the lessons that raise awareness about our connection with nature, particularly for food production and nutrition. Movies, Art and Hope: Willcox Historic Theater Preservation, Inc. The mission of Willcox Historic Theater Preservation, Inc. is to revive the historic theater as an entertainment and cultural hub. Their focus is on performing and cinematic arts, as well as youth arts programs. Today, the Theater consistently offers blockbuster movies on its two screens, with digital surround sound, digital projectors, and a full concession stand. The summer youth program includes drawing and performance classes. Its revival is a testament to the work of dedicated volunteers and funding support from the community. Since 2013, the Arizona Community Foundation of Cochise has helped Willcox Historic Theater Preservation Inc.’s mission to thrive. Funds from ACF of Cochise were used to repair the roof and restore the iconic theater marquee and façade. An ACF of Cochise grant was used to purchase a portable backdrop and microphone system for the Willcox Theater Summer Youth Drama Program. Last year Willcox Historic Theater Preservation, Inc. opened Studio 128 as a multi-use arts and activity room. The studio, originally built in 1914, underwent a significant renovation but it still contains historic wood paneling and the coolest concrete and epoxy floor in Cochise County. The space is home to the latest Theater initiative—made possible through ACF of Cochise funding—Reel to Real. “We wanted to incorporate education into the movie experience, and that’s what Reel to Real does,” said Gayle. For a modest ticket price, Reel to Real programs include dinner, a film-related lecture, and a movie. Past events featured Harvey Girls and Winged Bird Migration and the next film will be Apache Pass with a presentation by historian Doug Hocking. Willcox Historic Theater’s next effort is WAMM, the Willcox Art, Movies and Music Festival, which will take place on Saturday, June 17, from 5:00 to 10:00 p.m. This free family event at Railroad Park will provide a complete evening´s enjoyment with music, fun activities for kids, and an outdoor movie. The events at the Willcox Historic Theater highlight new life in downtown Willcox. Next door, local wineries open their tasting rooms on weekends, and Mexican and barbeque restaurants enjoy increased traffic. Theater Manager Gary Clement has dreams of making downtown Willcox a true entertainment destination. “A town like ours needs a place for the cultural arts and entertainment,” said Gary. “Without this space, where would young adults and teens go? This is an affordable option for young families in the area—and it is safer and cheaper than driving to Tucson.” Many older adult residents also enjoy the Theater, especially the Sunday Matinees. Gary and Gayle shared the story of one resident who finds comfort in coming to the Theater to see her friends and neighbors and “just get out of the house.” The Theater is providing movies, but more importantly, hope to this rural community. Sharon Gilman is a member of the ACF of Cochise Board of Advisors. She works for Cochise College and lives in Sierra Vista. The emotional power of live music is familiar to grown-ups, but for children who are surrounded by recorded music, their first encounter with real musicians creating music live is undeniably memorable. Sierra Vista Symphony board member Bobbie Moore remembers, “After one of the Children’s Concerts, there was a boy who cried when the music stopped. He told me that was because he wanted more music.” For over 15 years, the Sierra Vista Symphony has been providing that amazing experience free of charge to Cochise County’s fifth graders. One of the Symphony’s signature gifts to the community is the Children’s Concert. Each fall, the Symphony board’s education committee contacts all of the schools in Cochise County, offering free tickets to all fifth grade students on a first-come, first-serve basis. The concert is held annually at the Buena Performing Arts Center. In 2017, nearly 1,000 fifth graders from 18 different local schools attended. Before the concert, Symphony board member Kathy Marvin visits each classroom to teach children about instruments, music, and the experience of live symphony. Afterwards, the students compete for ribbons in writing and art contests, offering them a chance to share the essence of their experience with others. The program has been so successful that the Symphony’s education committee received the 2016 Mayor’s Arts and Humanities Award for Arts in Education. The education committee includes Dr. Renae Humburg, Ms. Kathy Marvin, Ms. Bobbie Moore, Dr. Cristina Reinert, and Mr. Barry Smith. In the years since she moved to Bowie, Arizona, Laurel Turner has noticed that the children in her community have changed. Their heads are up. Their backs are straight. They seem happier and more comfortable with themselves. There is a new level of excitement that I didn’t notice until recently,” Laurel commented. While there may be many reasons for the changes she has observed, one reason might be a local nonprofit with a small budget, but plenty of hope, vision, teamwork and big hearts: the San Simon Valley Literacy Organization. Laurel is the organization’s vice president, grant writer and chief baker. Its president Richard Bergquist is also the librarian at the Jimmie Libhart Library of Bowie, a branch of the Cochise County Library District. He noted that the San Simon Valley Literacy Organization grew out of a Friends of the Library project three and a half years ago. It developed into a unique nonprofit organization that promotes literacy in the San Simon Valley. Treasurer Nancy-Jean Welker, also an active member of the Bowie Chamber of Commerce, believes that the Chamber’s businesses, local schools and the San Simon Valley Literacy Organization are all intertwined. What began as a summer bridge program now supports activities for all ages year round. There are after school programs for children that improve academic skills and creativity. Adult classes in computer literacy and art provide lifelong learners with new educational opportunities. The organization has brought performing artists to the community and a fall festival makes it possible for community artists to sell their work. The programs, books, school and craft supplies used by the San Simon Valley Literacy Organization all cost money and Laurel commended area businesses for their support. She also singled out one supporter for special thanks: ACF’s Northern Cochise Fund. The Northern Cochise Fund is a geographically specific grant-making fund that is part of the Arizona Community Foundation of Cochise. The Northern Cochise Fund was established by community members pooling their resources to support nonprofits and community projects in northeastern Cochise County. Carefully managed by ACF and advised by Cochise County residents, the Northern Cochise Fund will continue to provide financial support for future generations. The Naco Wellness Initiative operates a series of gardens and two clinics. They educate people in gardening, nutrition and personal health. They teach people how to avoid, or live with, diabetes and other chronic conditions. They serve as a center for health and physical education classes and provide physical therapy for people recovering from injuries, strokes or other health setbacks. The Naco Wellness Initiative loans walkers, wheelchairs and hospital beds to people in need. Thanks to community support and grants, their work is provided at no or minimal cost. Their many programs log 10,000 visits per year from people of all ages. The Naco Wellness Initiative recently received a grant from ACF of Cochise to help fund their newest project “The Little Smiles of Naco.” The program provides dental health education to grade school children on both sides of the border. With the help of student interns from the Dental School at the University of Hermosillo, oral exams were provided to over 1,100 kids. Seventy percent of the children were identified as having cavities or needing tooth extraction. “The Little Smiles of Naco” program is teaching children better dental hygiene habits now, so that they can enjoy a lifetime of improved dental health. The Naco Wellness Initiative arranged for the donation of a dental chair and equipment to their Centro Salud rural clinic. The children, and the dentists who can help them, will now have a place to go to receive dental care. The Naco Wellness Initiative’s work addresses immediate health needs, but its goal is for people to gain skills that will help their families live healthier lives. Eric J. Kaldahl is a volunteer with ACF of Cochise. For his day job, he lives and works at the Amerind Museum in Dragoon, Arizona.